Today's shop made me smile the moment I stepped into it. 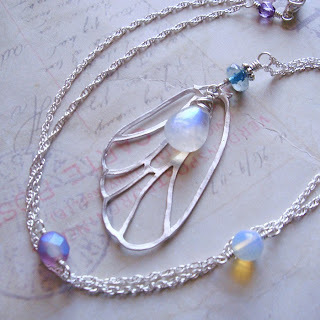 Their style is so delicate and ethereal that I was just instantly attracted and amazed at what I saw there and I instantly fell in love with the pieces within incorporating pretty stones, silver swirls and beautiful butterfly wings. Sihaya09 has a number of styles, of course, but they all hold a delicate theme to them and even the titles of the sections in the shop are filled with fantasy from titles such as "The Timekeeper's Daughter" to "Ephemeral Earrings" and more. Christina is the artist behind Sihaya Designs, and her work and vision are absolutely breathtaking. Not only does she offer the beautiful pieces already displayed within her shop, but she is happy to work on commission pieces to make something custom just for you as well! 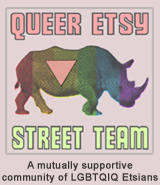 I definitely recommend a browse through this talented artist's shop, you won't regret it and you might just find something absolutely perfect for you or someone you care about while you're there! YOU CAN CLICK ON THE PICTURES ABOVE TO VISIT CHRISTINA'S "SIHAYA DESIGNS" SHOP ON ETSY AND TAKE A LOOK AROUND OR, IF YOU PREFER, CLICK RIGHT HERE. what a wonderful shop, thank you for bringing her to our attention. I love her bollywood bracelets. her jewelry is so whimsical! i love the fairy acorn earrings! thanks for sharing this delicious find!